Both new technologies showed off at the Frankfurt Motor Show will be deployed in the upcoming Jaguar Land Rover vehicles as well. Jaguar Land Rover are clearly on a mission to add finer technology in their future cars, with the company showing off a new telematics and entertainment system as well as an all new aluminum monocoque architecture. Both were shown off at the Frankfurt Motor Show, where the company unveiled the C-X17 - their first ever crossover concept vehicle. The aluminum architecture has been codenamed iQ[Al], and its critical element is the modular platform that allows longitudinal mounting of the engines, powering either all four, and any two of the wheels. The idea being, to make this universally compatible with a variety of cars that Jaguar Land Rover has in the pipeline. Additionally, this is an extremely lightweight and stiff suspension design, with the flexibility of customization for different platforms, without having to go back to the drawing board. The company says that the first car with the new architecture will be a sedan, which will be rolled out globally in 2015. “The C-X17 sports crossover represents an exciting new direction for Jaguar. Its purpose is to highlight our all-new aluminium architecture. With this technical foundation, we will dramatically expand Jaguar's product offering, market potential and customer appeal. This new philosophy will bring technology from our luxury products into an accessible price segment, and when combined with our new ultra-efficient engines, we will set a global standard. 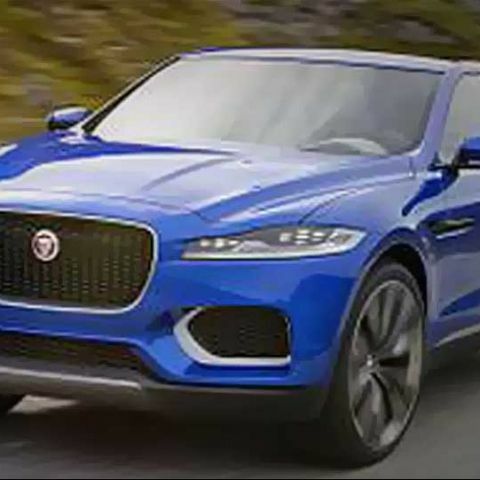 Add to these rational values, the class-leading dynamics, and the beauty and purity of form that Jaguar is renowned for, and we have the formula for a monumental leap forward.”, said Adrian Hallmark, Global Brand Director, Jaguar. The C-X17 itself is 4,718mm long, 1,649mm tall and has 213mm ground clearance. The pillar design will offer what Jaguar Land Rover calls as the “elliptical panoramic view ”. The details on the InControl system are awaited, but these are the pictures the company has shared. Looks quite awesome! The entire console setup is basically a combination of interconnected touch-screens, with the transparent acrylic glass running through the length of the system, and there is also the option of the heads-up display on the windscreen for the driver.